Our boys hate bedtime with the fire of a thousand suns. Both of them fight us every single night. I know this is a nearly universal parenting experience. Paul keeps wondering aloud why they fight it so hard. Bedtime comes every single day, and they never win. Every single day, they eventually go to sleep. It’s inevitable. Why the bellyaching? And then today, it hit me: I’m exactly the same way about mornings. I guess maybe I should cut them some slack. And now for a picture. 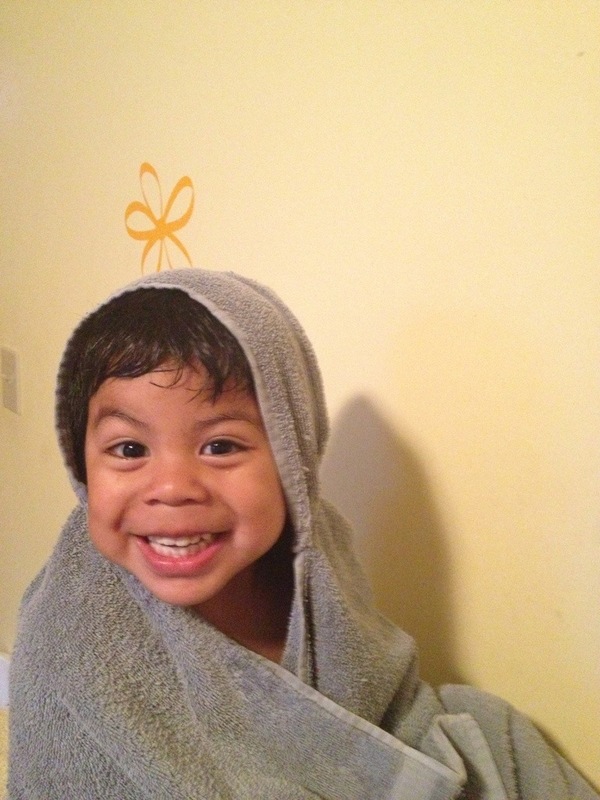 Is there anything cuter than a freshly-bathed baby in a hooded towel? I’ll answer that for you. No. No, there is not. Previous Post T-shirts and pizza and squirrels. Wait … squirrels? Next Post Goatie Did a Trick!